What does Sales & Invoicing Mean and How Does it Help Me? You’re not a business unless you have sales income. Generating sales and an income is one of the primary reasons WHY you’re in business. Sales & Invoicing is my favorite account on any profit & loss reporting. This line of your report is always involved in any business decision and goal setting. It shows anyone reviewing the report that you have been doing something in your business and what the results of that work has been. There are a lot of fun things you can do with this account, but before we jump into what we can do with it, let’s start with taking a look at how we get the numbers into the sales account to start with. 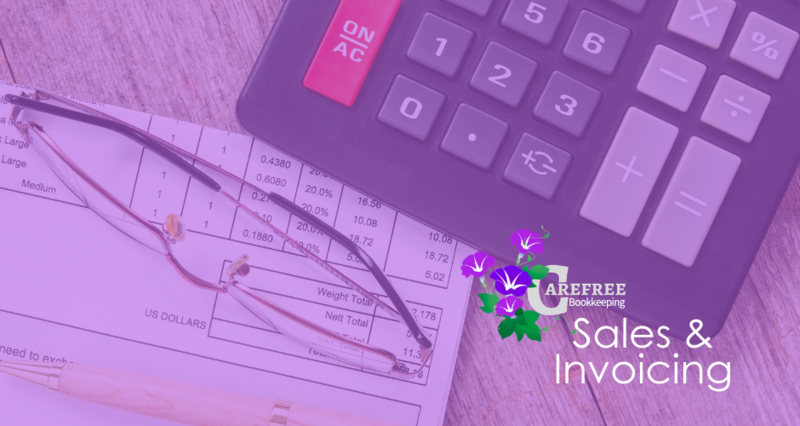 INVOICING is the MOST important thing to do in your business. If we’re not routinely invoicing customers how can we expect them to know when and how much to pay for services provided? Even in retail, each sale gets an invoice… it’s called a receipt, and this receipt makes a sale in the computer system (register). I have seen a number of companies call or stop in asking for their check. My first question is “For What?” What’s one of the most important things to have available for an audit? That’s right, it’s a paper trail. SO! Invoice every sale and track those outstanding invoices in Accounts Receivable. Sales can be broken down into different types of sales you have in your company. A grocery store needs to know how much they sell in the deli versus the meat department, or general groceries versus produce. Where a gas station may need to track fuel sales versus sundries. This way business owners have a better way of tracking their highest selling items and the lowest sales items. Empowered with this knowledge they will be able to quickly identify which departments need help or which products are worth investing in. You can and should break down the different types of sales in your company, so you know what your niche is, how to better market to your ideal audience, and know what other items you might need to change or promote. When I review P&L reports for any business I look at the current month, last month, last year, this month, and year-to-date this year versus last year. I look to see if sales are up or down or holding steady. If sales are down, we ask… WHY? Has the business changed services or products? Did they stop marketing or networking? If sales are going up, we want to look at what you are doing right! We want to know if this upward trend is sustainable or will you need to continue adjusting to keep it going up. All your planning starts with the sales line of the P&L Report. Sales is the temperate gauge of your company.